Along with cooler temperatures, every January brings the International Consumer Electronics Show (CES) to Las Vegas, Nevada. CES 2015 is scheduled for January 6 - 9 next year and is expected to draw a lot of interest as usual. On the car entertainment front, there will be quite a few things to look forward to. 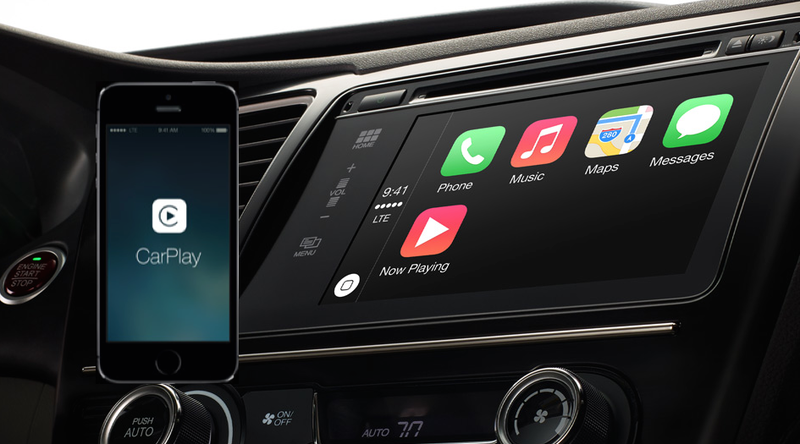 Top of the list will be car companies showing off Apple CarPlay and Android Auto. What else can one expect? Let's speculate. The biggest car tech news from CES 2014 was probably the Open Automotive Alliance (OAA). Google's partnership with about 30 other car and tech companies was the stepping stone for Android Auto. Included in that list of tech companies were six aftermarket manufacturers - Pioneer, Alpine, JVC Kenwood, Clarion, Delphi, and Parrot. But none of them have made any announcements on aftermarket Android Auto head units. In my opinion, the stage is set at CES 2015 for aftermarket announcements or even the teasing of a few products. Android Auto is destined for the aftermarket. Why else would aftermarket manufacturers get on-board with the OAA? 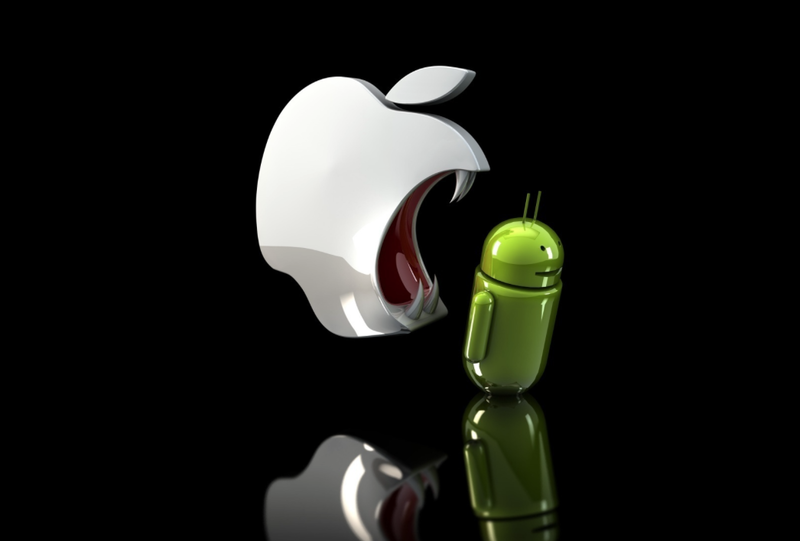 The car infotainment field is just another platform for Apple and Google to do battle. CarPlay has been available to consumers through aftermarket systems from Pioneer and Alpine for a few weeks now and has been received quite well. Android Auto, on the other hand, is still a work in progress but not far from release. 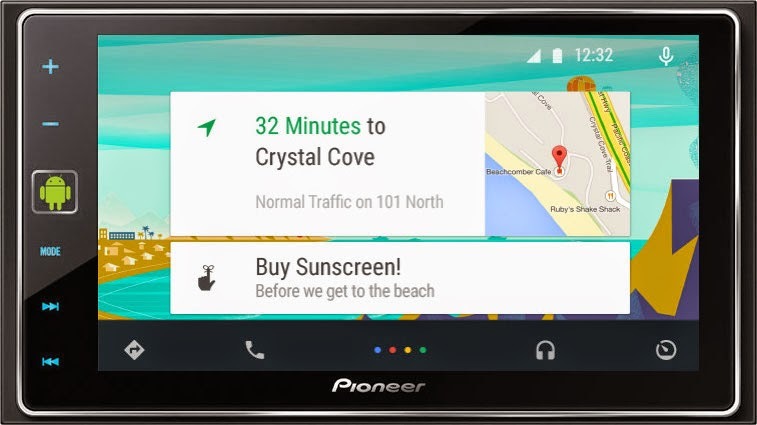 Android Auto will be an Android 5.0 Lollipop feature. Just like Apple CarPlay, which is an iOS feature, Android Auto will bring smartphone functionality to your dashboard. If you've missed the last few posts on Android Auto, you should check them out. It's a little taste of what to expect. Hyundai showcased the two technologies at the 2014 Los Angeles Auto Show last week. Two of their 2015 Sonatas were on display with the latest smartphone integrated car infotainment systems. Similarly, CES 2015 is expected to have even more automakers flaunting CarPlay and Android Auto systems. Pioneer is known to make big announcements at CES. The 2012 show brought the AppRadio 2 (SPH-DA100) from Pioneer which was a big upgrade from the first-generation AppRadio. In 2013, Pioneer changed the Advanced App Mode moniker to AppRadio Mode, which is what it is called today. They also announced firmware updates to the AppRadio 2 which enabled compatibility with the iPhone 5 at the 2013 event along with 13 new head units which all had AppRadio Mode. This year, Pioneer announced its NEX head units at CES, which feature their most advanced head unit software. NEX is also the backbone of the new AppRadio 4 (SPH-DA120) which features Apple CarPlay. So what about CES 2015 from Pioneer? Could we see a less expensive, standalone CarPlay head unit like the Alpine iLX-007 (which is not cheap, by the way)? It is probably too early to see an AppRadio 5 announcement but it may not be too late to see next generation NEX devices. Will CarPlay go wireless at some point next year? A perfect world would see upcoming technology like CarPlay and Android Auto working over a Bluetooth connection alone, and not requiring any wires. Bluetooth 4.0 is probably capable of providing such connectivity but we haven't seen the integration yet. In fact, Alpine Electronics has completely skipped adding Bluetooth in their latest iLX-007 head unit. For CarPlay or Android Auto to work wirelessly alone, there has to be a way of charging your smartphone wirelessly too. Although some cars offer wireless charging mats, the technology is not quite there yet. But since this is a post full of speculations, I might as well throw it out there. The first Toyota Fuel Cell Vehicle (FCV) was a big hit at CES 2014. The car concept uses hydrogen and oxygen to provide energy that fuels the vehicle. No more pollutant gases, just a water spout for a tailpipe! Alternative energy vehicles like the Toyota Mirai (which is what they are calling their first concept FCV these days), may grace CES 2015. It will be interesting to see which other automakers showcase their alternative energy concepts at the event.